What is the WorldSkills Champions Trust? The WorldSkills Champions Trust is a volunteer group of past Competitors who are the voice of young people in the WorldSkills movement. The initiative was developed by Champions for Champions at the WorldSkills Champions Forum 2014 in Lucerne, Switzerland. Their idea was to establish an advisory group to work closely throughout the year with WorldSkills. What are the benefits of being part of the Champions Trust? What is the volunteer time commitment? The average time commitment is 2-4 hours per week, with increased participation in the lead up to major projects and events. You will be in regular communication with other representatives on the Champions Trust and WorldSkills Secretariat via email and WhatsApp. You will also be in regular communication with WorldSkills Member countries and regions. 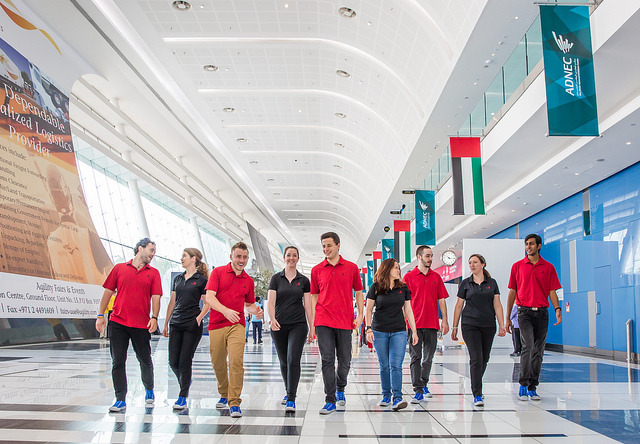 As part of the Champions Trust you will take part in leadership and media training sessions, forums and conferences, to hone your skills to effectively represent the talented and dedicated community of WorldSkills Champions. The training will advance your public speaking skills, as well as comfort level in telling your WorldSkills story to media. Applications for the WorldSkills Champions Trust will become available on this page following WorldSkills Kazan 2019. Ability to communicate effectively in English (reading, writing, speaking). Written support from Member country or region (Official Delegate or appointed representative). Written support from Team Leader. regular communication with WorldSkills communications department to share stories and ideas for getting more awareness around Champions to the global audience. Must have competed within the last three WorldSkills Competitions (WorldSkills São Paulo 2015, WorldSkills Abu Dhabi 2017, or WorldSkills Kazan 2019). Must be fully available during the WorldSkills Official events and cannot accept another WorldSkills role (i.e. Expert, Team Leader, Translator, Delegate, etc.). have a recommendation form submitted by the Team Leader and a representative from the Member organization.